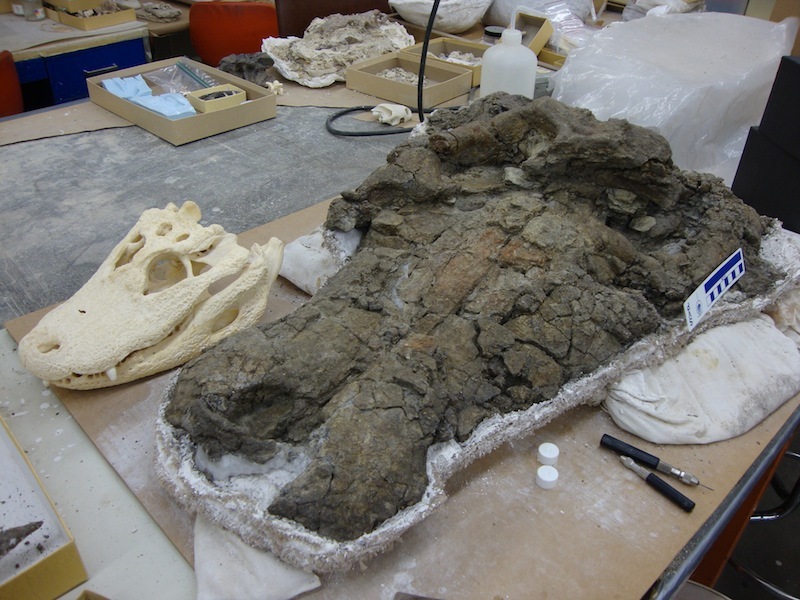 The fossils of a new species of Paleocene era crocodile has been discovered in the Cerrejón coal mine of Colombia. From an extinct family of crocodilians called dyosaurs, the 900lb beasty waded through the then swampy environs of the Amazon rain forest, crunching on turtles and other megafauna. Scientist have dubbed the new species Anthracosuchus balrogus after the fiery Balrog monster in the Lord of the Rings who likewise loomed in the deeps of the mine.